It's that time of year. Like it or not, fall has arrived and winter is looming large. Or as I think of it, time to wear pants for a solid six but probably eight months. But every woman knows that finding jeans is a struggle and a half. One size most certainly does NOT fit all. And what works for you, might not work for me. Heck, what worked for me last year, might not work for me this year. 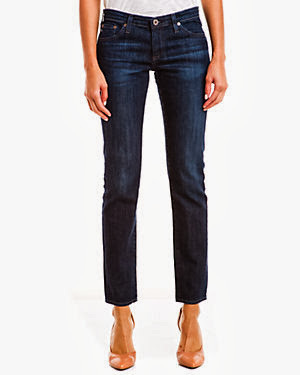 This fall, though, I am determined to find the perfect pair of jeans for my current body shape. I promise to take y'all along for the journey because I know that so many of my girlfriends have the same struggles. As far as losing weight, I thought I should give an honest update. I've had good days and days when I don't exercise. So far I've lost a few pounds but nothing significant. I have half a month to go though. And I know that I am my biggest enemy is this battle. But I am doing something, which is more than the nothing I was doing before. What's your biggest clothing challenge? Is is jeans, like me? Tops are a close second, if it makes you feel any better. Do you have any tips (knowing that I am limited by local stores)? Any favorite brands I should seek out first? Or avoid altogether? 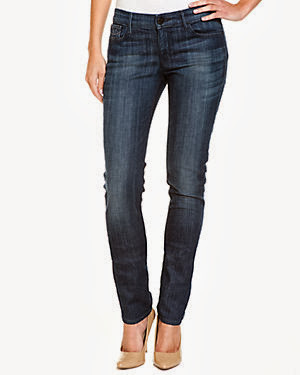 I personally love Ann Taylor Loft jeans. No more designer jeans for me! Jeans really aren't all that comfortable to me! I'd rather wear dress slacks. I do love J.Crew matchstick though! Jeans are my least favorite thing to shop for, forever and ever amen. I've gained a significant amount of weight over the past three years, so it's even more dreadful than it used to be. Earlier this year I hit the jackpot at Gap. Their 1969 Always Skinny and Perfect Boot jeans both fit me great. (I'm a size 12, 5'3, lots o'junk in the trunk for reference) I also discovered Forever 21's plus size line has size 12 skinny jeans that are AMAZING, fit me perfectly, and are ideal for wearing with boots in the winter. Best of all? They're $14. Anyway, you've talked as though you have some of these same physical characteristics. I highly recommend trying on lots of styles at Express. 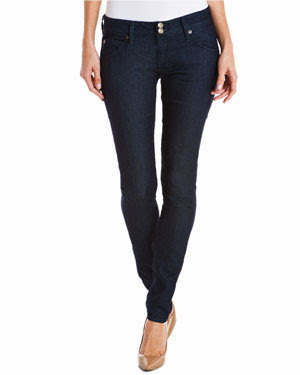 My favorite (this year) at Express is a pair of boot cut jeans with super cute embellished back pockets with flaps. If you find them online, they're $99 (but Express often has sales, so I got them for 40% off) but I've heard that they're not a huge seller, so many stores don't carry them. I bought two pairs of skinny jeans at Express last year that I absolutely love, but didn't have much luck with skinny jeans there this year when I needed the next bigger size. :( I did buy a pair of the skinny Rerocks, but sadly, they stretch and sag pretty bad after only wearing them for an hour or two. Good luck! I look forward to hearing your tips!